The Model PFB approved Fire Pump System features a round pitot tube. It is a primary flow sensor designed to produce a differential pressure that is proportional to the flow. 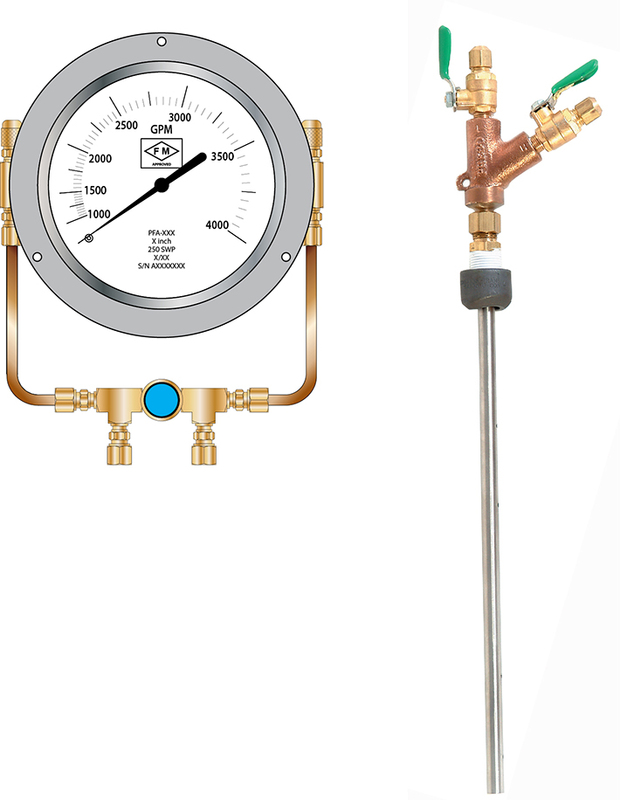 It is a highly reliable averaging pitot tube which generates a pressure differential between its upstream (stagnation) ports and its down stream (static) ports that is proportional to the flow rate squared. It is capable of bi-directional flow measurement.